Loved it! Big territory, pretty quiet. In this hotel you can get anything you would need for a great vacation. Very quiet and convenient for Phnom Penh. 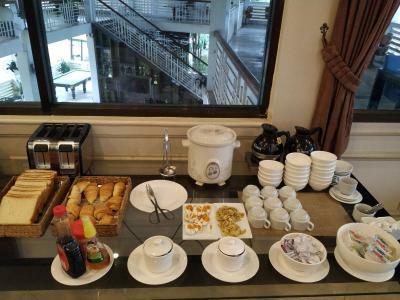 Breakfast was very good - much better than expected after staying in other locations in Phnom Penh. We would stay here again! 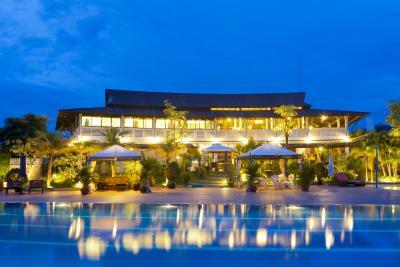 Thanks for nice accomodation of all staffs. Hope I would be back. Standard room was not available and they upgrade me to superior room. Useful location for night before early flight. Good bed, small gym, big pool. I booked with thinking you had a free shuttle service to airport, you don't. Have a sore knee did not read I would have to climb stairs, if I had seen this. These two things would have stopped me from booking. Had to pay to upgrade to a room with an elevator and there was work happening next door. After calling to complain about the noise I was told it was important work would only last another half hour. It lasted three hours. The internet kept failing so my friend who would love this place I could not recommend your place to him. The morning I was to leave your one and only golf cart was broken so I had to walk to office. Just spent three months of Acpunture treatments , gone on that walk. Beautiful place but something missing in the advertising. Would not tell anyone to stay with you. Not a happy customer. 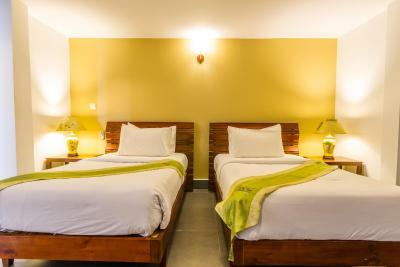 The bed is very comfortable , close to airport , reasonable price. Since the establishment is essentially a sports club it has very good athletic facilities (i.e. tennis courts, etc), although I am not sure if they can be used for hotel customers but rather for expatriates who leave in Phnom Penh. 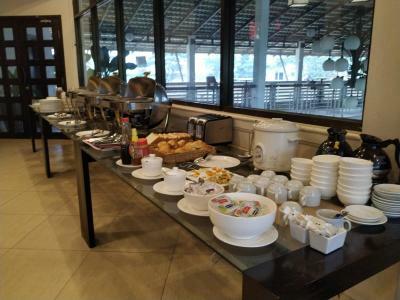 CCC Hotel Airport This rating is a reflection of how the property compares to the industry standard when it comes to price, facilities and services available. It's based on a self-evaluation by the property. Use this rating to help choose your stay! 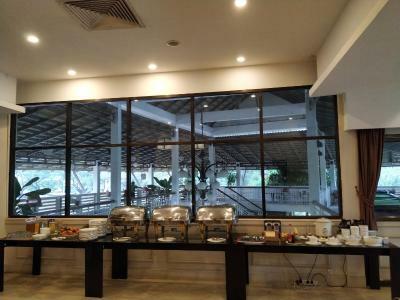 Just 5 minutes' drive from Phnom Penh International Airport, CCC Hotel offers extensive sports facilities like a 100 feet outdoor pool, tennis courts, basketball courts and soccer fields. Horse riding and a gym are also available. Wi-Fi is free. 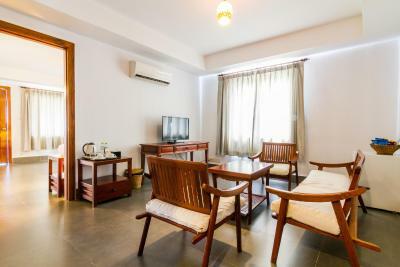 Fully air-conditioned, the well-designed rooms are all equipped with a 32-inch flat-screen TV, mini-bar and 2 free bottles of drinking water. A personal safe is also included. Private bathrooms have shower facilities. 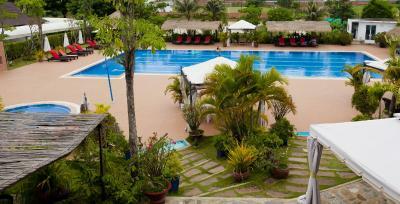 CCC Hotel is a 15-minute drive from Phnom Penh City. Guests who drive can enjoy free parking. Airport shuttles are available at an extra charge. Other sports facilities include a volleyball sand court and badminton courts. Children can enjoy rollerblading and other games at the kid's club. Luggage storage and daily newspapers are provided at the 24-hour front desk. 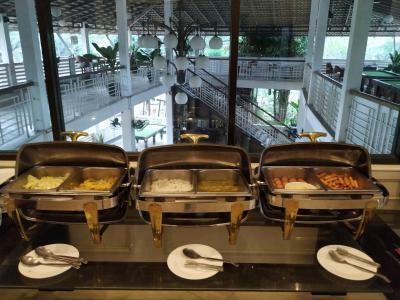 International and local dishes are served at the Club House restaurant. 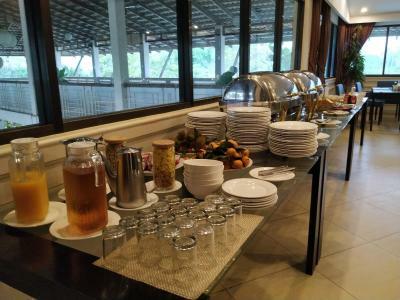 A daily buffet breakfast is also offered there. 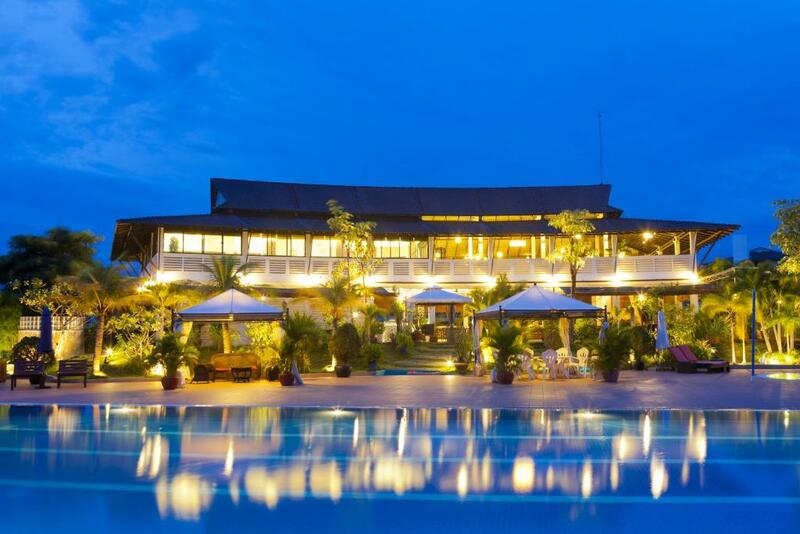 When would you like to stay at CCC Hotel Airport? 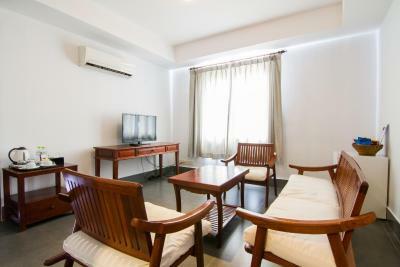 Air-conditioned rooms come with a 32-inch flat-screen TV, a mini-bar and 2 free bottles of drinking water. 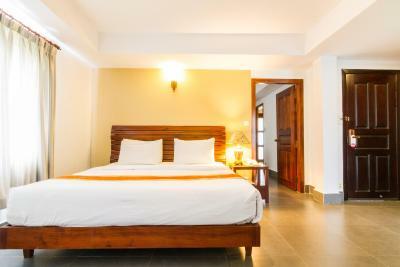 Spacious air-conditioned rooms come with a 32-inch flat-screen TV, a mini-bar and 2 free bottles of drinking water. 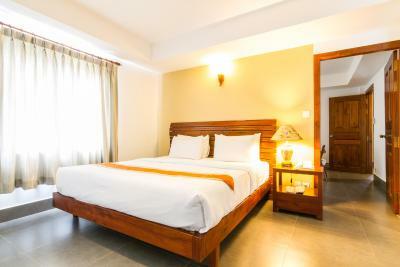 Spacious air-conditioned room for 4 guests comes with a 32-inch flat-screen TV, a mini-bar and 2 free bottles of drinking water. 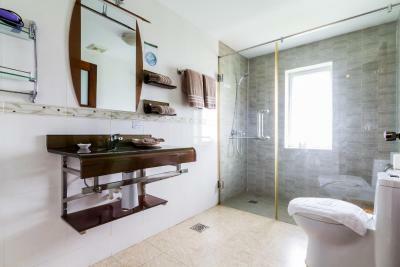 An air-conditioned suite featuring a private private bathroom, a living area and a private balcony. 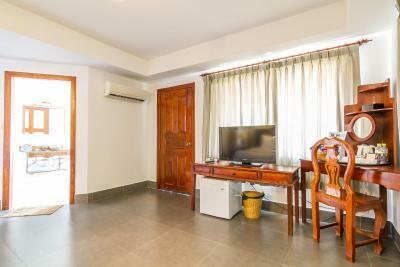 Spacious air-conditioned suite featuring 2 separate bedrooms and a living room. This double room has a balcony, DVD player and mini-bar. 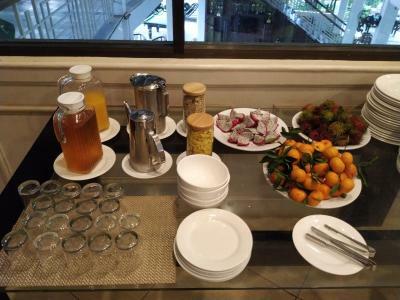 House Rules CCC Hotel Airport takes special requests – add in the next step! 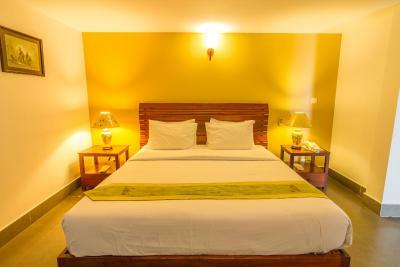 One child from 4 to 12 years is charged USD 15 per night in an extra bed. CCC Hotel Airport accepts these cards and reserves the right to temporarily hold an amount prior to arrival. Air conditioner a bit sluggish. A bit tied looking. Staff late.. Service slow....breakfast not variety. 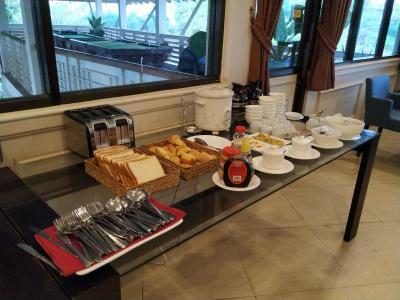 The breakfast is just OK , not many option and far away from the hotel room. Nothing close by at this site except couple KTV. the pictures do not match reality: dirty, dirty mud !!!! Poor Bathrooms and dirty sheets. We arrive 21:30. There was nothing around this hotel. And breakfast wasn’t good. They didn’t have our room which I booked. Easy access airport. If u have a early morning flight it will be okay. Arrived at 1am, the access to the reception seemed like arriving to an old abandoned hotel. In the morning it looked better with the views from tennis courts around, but overall very updated and uncared. Room was not very clean, smelled cigarette although it was a non smoking room. Staff did nothing about it. Breakfast on a 2nd floor, we were checking out at 6.30pm, needed to take our luggage up and down the stairs. Poor breakfast, the croissants that I ate were wet, suppose they were defrost. Staff that checked us was nice. 5 to 10 minutes from the airport. The room smelled like an ashtray. The sheets were stained. The drain in the sink didn’t work. No one came to pick me up at the airport and they charged me 12$ for a ride to the airport even though the listing said one airport transfer was included. I also didn’t get a receipt for the payment. Staff was helpful and friendly and courteous. I only saw the place at night, but the compound seemed vast, like a formerly grand country club in Colonial times. I have no idea how they look in the daylight but that could be fun. It was a very short ride from the airport. Less than 10 minutes.